Tremendous news – we’re going on vacation! A short one, but it counts because there are planes involved (several … which is only glamourous if I don’t tell you that we have layovers … on a trip from Vancouver to San Francisco) and because we are staying in hotel rooms and not tents. I all-caps HATE tents. At the first sight of springtime sun, Nick gets all goobery-eyed at the idea of driving to the middle of nowhere and sleeping in a tent we borrow from one of our sets of parents, and subsisting on hot dogs and box-wine while sitting in busted folding chairs for four days. Which? I’ll pass on, thanksverymuch. The last time we went camping we ended up parked beside the highway and Nick fell asleep under a van in nothing but his underpants and running shoes, and at that point I didn’t even care if he got eaten by bears. We weren’t married yet, so I didn’t have a lot invested in his NOT being eaten by wildlife, and that weekend he had it coming. But the important thing is not that Nick and I are charmingly, recklessly dysfunctional, or that since it’s my blog I can make him look like the irresponsible one and you have only my word to go on. No. The important thing is that we (me, Nick, and Paul) are going to San Francisco. And also Las Vegas. Because my friend Theresa is flying in from Australia with her boyfriend, and we’re going to have the most fun ever. And I’ve digressed again, because this isn’t a post to brag to you about my exciting, margarita-filled journey or my tumultuous, margarita-filled marriage. I’m really here to talk to you about cookies, because I thought it would probably be wise to clean out the fridge before we go, and I always get so distracted doing that. Out came the carrots and a lime, and I thought about how nice cardamom would be with all of that, and before I knew it, the butter was unwrapped and the oven was preheating and I’d forgotten why I’d opened the fridge door in the first place. 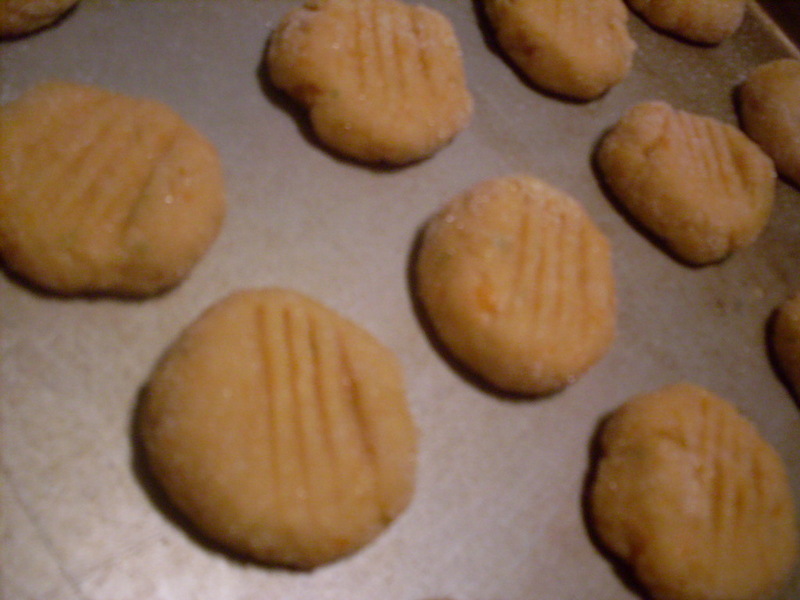 So these are carrot cookies, but because I was procrastinating, they’re different from your typical carrot cookies. The carrots are not grated as if you were making carrot cake; they’re puréed. The cookies are soft, so fluffy – like little cookie cakes, or sweet tiny scones. I’m going to eat twelve of them with tea for breakfast. There are no awful raisins crammed in, and the spices aren’t autumnal either. Not a whiff of cinnamon in the batch. And forget about cloves! 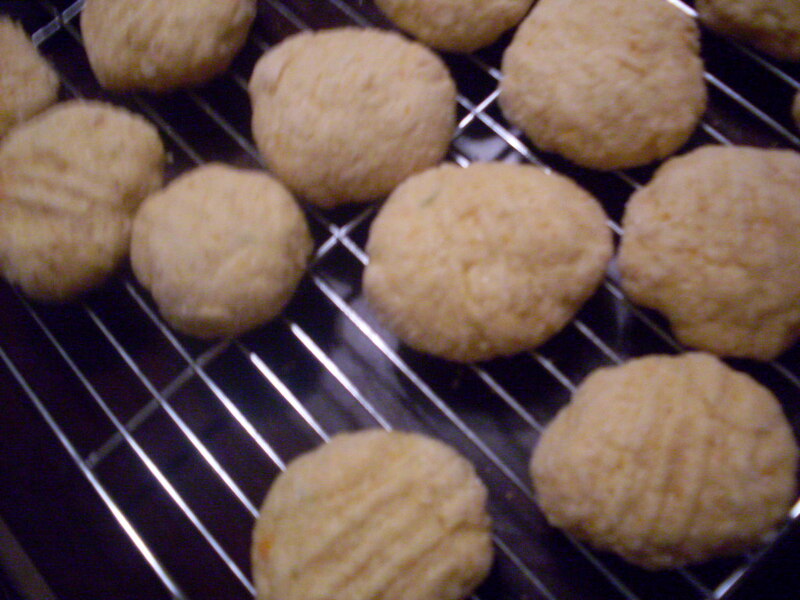 These are carrot cookies for the bunny rabbits – all spring and POP! and there is no way I’m sweeping the kitchen floor tonight. Cream together sugar and butter until fluffy. Add carrot, scrape down the sides of the bowl, and mix well. Beat in eggs, vanilla, lime zest, lime juice, and cardamon. 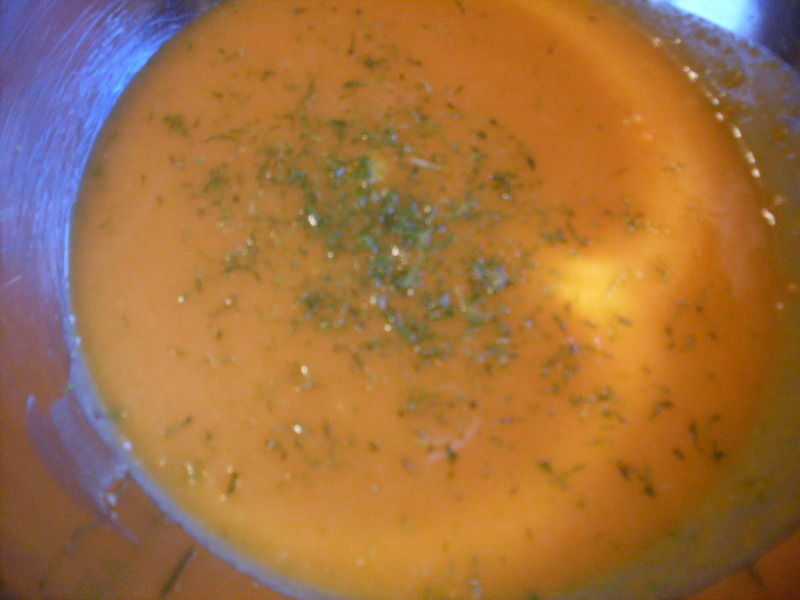 Stir flour mixture into carrot mixture and beat until thoroughly combined. What you will end up with will look like a thick cake batter and a very moist and sticky cookie dough. Place in fridge for 30 minutes. 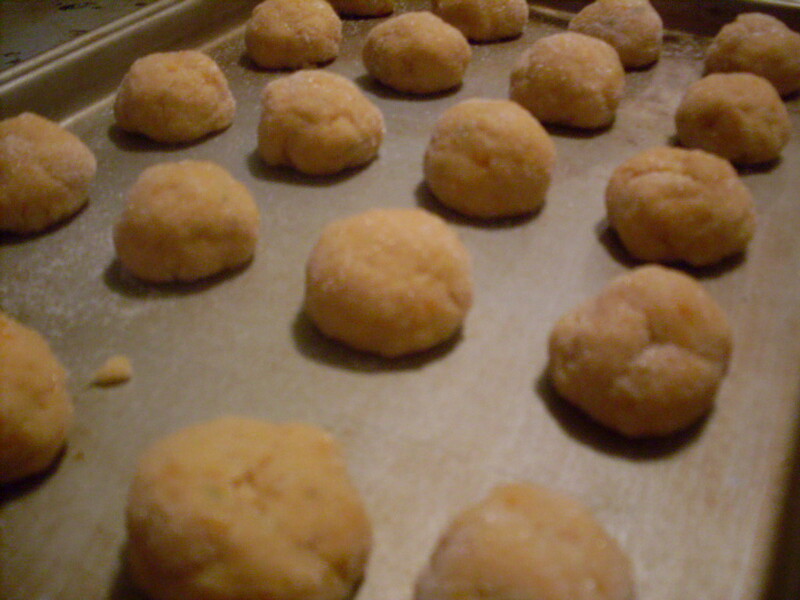 Roll chilled dough into one-inch balls, dropping and rolling each ball in sugar. Place each ball on a buttered cookie sheet, about an inch apart, and press with the tines of a fork. Repeat, 12 to 24 times. 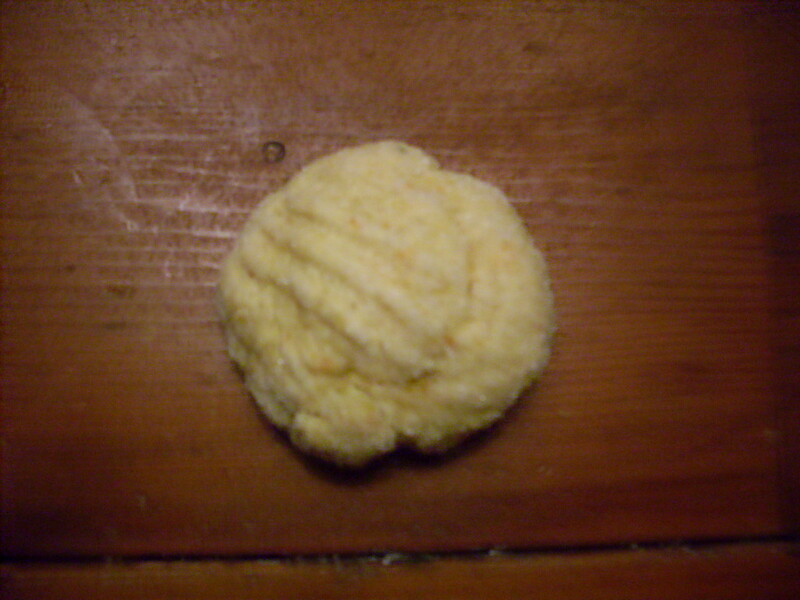 Bake for 15 to 17 minutes, until puffed and lightly browned. I’d say golden, but these are already orange. I wish I could show you how orange. Eat as many as you can hot from the oven. Or, cool on a wire rack, and store in a sealed container. < Previous Creamy, springy trout chowder. Next > Food is love, and I know that leggings aren’t really pants. Nom. Those look like morning-sickness busters. And I can call them healthy! Hahaha — awesome! The morning sickness has mostly left me alone for about a week … but yesterday was evil. I mostly have queasy/food-averse sickness — I haven’t really been violently nauseous at all. Still can’t face chicken.